Konecranes Automatic Storage and Retrieval System helps you increase productivity with faster handling capacity and effective warehouse management. Automated vacuum lifter handling economises the warehouse capacity of the available space. Software for the storage administration system, and crane automation with purpose-built machineries form an integrated handling system. Mechanical roll grippers can handle wrapped rolls and even multiple rolls at a time for higher input/output of smaller roll sizes. The storage and retrieval system is automated and expandable so your mill can do more work with the same number of employees. Programmable storage criteria keep the inventory fresh, clean and current. Rolls are less likely to be damaged when handled by a vacuum lifter or mechanical roll gripper instead of a lift truck clamp. Lost or stale paper is not an issue because storage management software continually tracks the location of each roll. 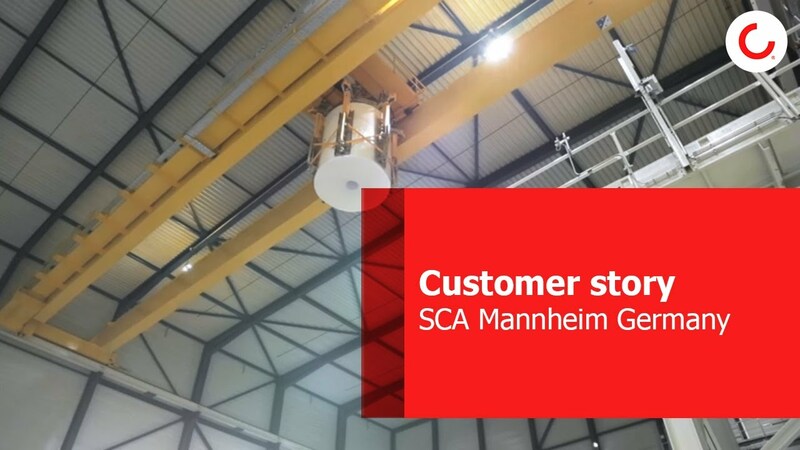 Konecranes automatic storage can be linked to any major manufacturing execution system (MES). Data communication and content is tailored to fit into the plant systems to make sure all systems work together to maximise plant production and quality.